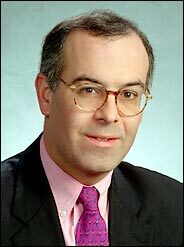 In his 2nd October column, David Brooks cites the French philosopher Chantal Delsol and her demanding observation that the "amount of vigilance, care, friendship and patience that must be given any person, if he is not to be driven insane or to despair, is almost literally incredible." "Twenty percent of us, according to a Rand Corporation study, are going to get cancer or another rapidly debilitating condition and we'll be dead within a year of getting the disease. Another 20 percent of us are going to suffer from some cardiac or respiratory failure. We'll suffer years of worsening symptoms, a few life-threatening episodes, and then eventually die. But 40 percent of us will suffer from some form of dementia (most frequently Alzheimer's disease or a disabling stroke). Our gradual, unrelenting path toward death will take 8 or 10 or even 20 years, during which we will cease to become the person we were. We will linger on, in some new state, depending on the care of others. As the population ages, more people will live in this final category. Between now and 2050, the percentage of the population above age 85 is expected to quadruple, and the number of people with Alzheimer's disease is expected to quadruple, too." Mr Brooks is not optimistic about American society's ability to provide that care. Neither am I optimistic about Britain's ability - or willingness - to sacrificially provide loving end-of-life experiences for our ageing relatives and neighbours. And that inability is not just because of the increasing number of old people. It's also because of the weakness of the family. Mr Brooks argues that as we aspire to meet the 'care challenge' the "individual is less likely to be regarded as the fundamental unit of society. Instead, it's the family." I fear that we'll choose to maintain our individualistic lifestyles rather than take the sociological leap that Brooks hopes for. Years and years of evidence has shown that sexual and lifestyle promiscuity hurt children. None of that evidence has got in the way of our hedonism. The combination of our love of luxury lifestyles and the demographic timebomb will simply accelerate moves to euthanasia. Lee Harris: Who provides the moral levees? After 9/11 the stories of New Yorkers coming to the aid of their fellow men were inspirational. Similar stories lifted the heart after our own 7/7 bombings. The abiding images from hurricane-struck New Orleans could hardly be more different. We’ve seen shocking TV footage of wanton looting and ‘Lord of the Flies’ gun crime. It’s good that we’re shocked. Stigmatisation of wrong behaviour is one of the essential ways in which such behaviour is suppressed. Lee Harris, a contributing editor at the consistently insightful TechCentralStation.com, writes that we shouldn’t be too surprised, however at “humankind's primordial instinct for theft”. A failure to recognize that instinct has blighted the work of many of the modern era’s political theorists. “Rand to Rawls to Nozick,” he writes, “have implicitly assumed that we are living in a world in which acts of theft are simply unthinkable - an unspeakable No No that protects our civilization in the same way that the levees around New Orleans were once considered to have protected its population from inundation.” None thought to ask the “How did it come about that the societies of the West were provided with a moral levee against the flood of self-interested and non-altruistic individualists?" question. Plato taught that the infant human needs to be taught to like what is worthy of being liked and to hate all those behaviours that were harmful to civilisation. Is our civilization helping our young people to like what is likeable etc? If it isn’t, it isn’t civilising and won’t stay civilised. Human history has provided more proof for the Judaeo-Christian idea of fallenness than, perhaps, any other doctrine of human behaviour. Police and law enforcement agencies cannot make an immoral citizenry good. They merely restrain the excesses of the least law-abiding. Men are born bad (sinful) and civilisations escape their natural tendency to decay when they nurture virtuous citizens. Values-based schooling, strong family life and honest religion are three of the principal moral levees that maintain society. Are phenomena like the Saturday night loutishness of every English market town, and the cruel misbehaviour of a minority of UK servicemen in Iraq, the signs of our own inadequate moral levees?